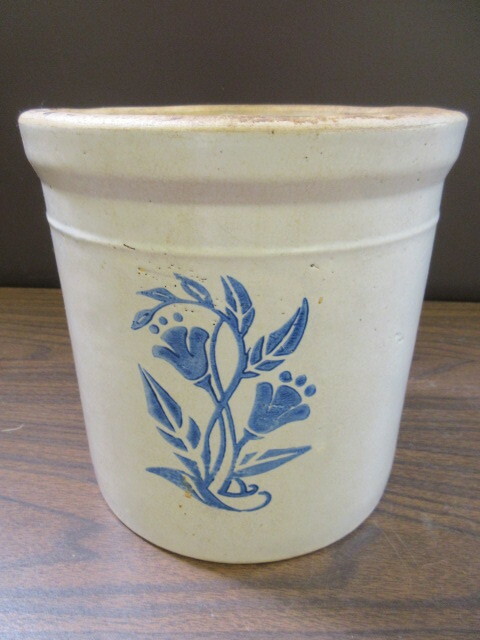 Red Wing Pottery Small Crock. The crock is in nice condition. 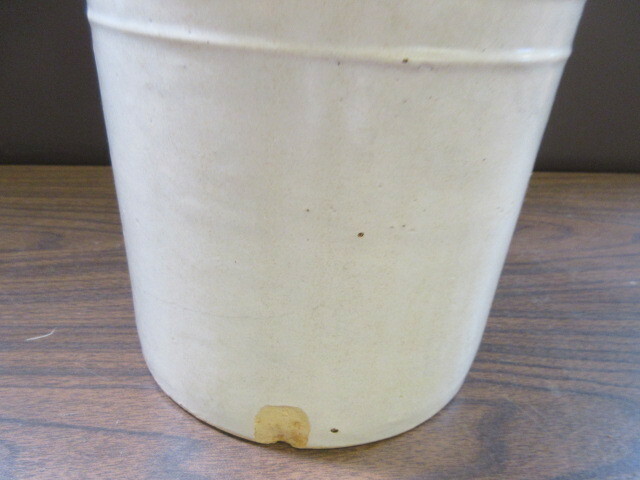 There is a small chip in the backside (shown in photo). 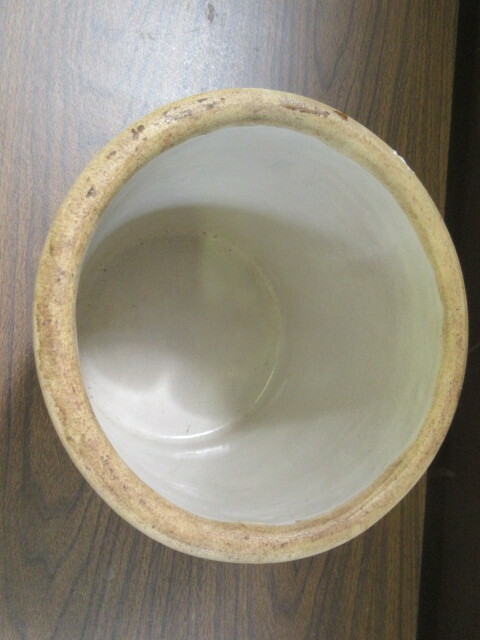 The Crock measures 8" in Diameter and 8" Tall. The pick up dates for items won in this auction are Wednesday, June 20th and Thursday, June 21st, 2018 between 8 am and 7 pm. IF YOU CANNOT PICK UP ON THOSE DAYS, DURING THOSE TIMES, PLEASE DO NOT BID. WE DO NOT OFFER ALTERNATE PICK UP DAYS OR TIMES FOR ANY REASON.